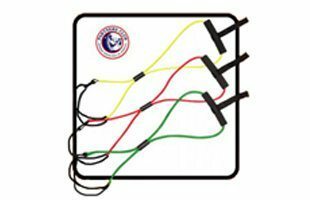 The GolfGym PowerSWING Plus Grip attaches to your driver (or any standard golf grip) to get you started on building a stronger and more consistent/repeatable golf swing. 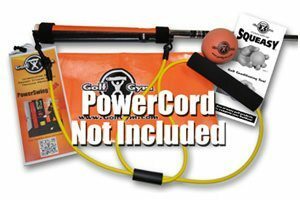 The GolfGym PowerSWING Plus Grip Attachment can be used with the Light Resistance PowerCord that came with your PowerSwing Trainer. 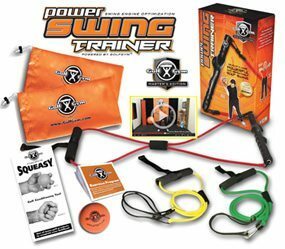 It is the next generation of the PowerSwing Trainer. It attaches to any standard golf grip. Teaches the “Feel” of Your Golf Swing. Eliminates “Casting” and “Over the Top”. Increases Club Head SPEED, Power and Distance. Helps You Practice More Efficiently. Receive Immediate Feedback. For best results it should be attached to your Driver. See the Assembly instructions below. – You Can’t Replicate the Entire Golf Swing On Any Piece of Equipment In The Gym. 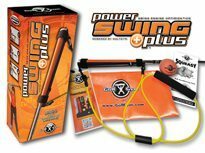 You Can With The PowerSWING Plus. 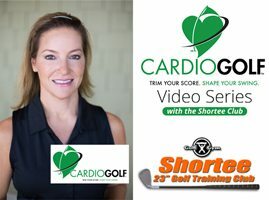 Our Goal at GolfGym is to help every golfer play better, longer and with hope, injury free. Golf is a game for life. Do a little every day to help yourself play better and longer. Simple, Easy, effective and golf specific.